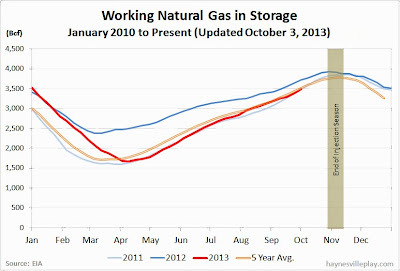 The EIA reported that working gas in storage was up 101 Bcf this week to 3.487 Tcf. I guess the EIA autobot must be working because I imagine the EIA staff is furloughed now that "lemmings with suicide vests" have taken over the Capitol. The weekly injection was 31% higher than last year (+77 Bcf) and 23% above the five year average (+82 Bcf). 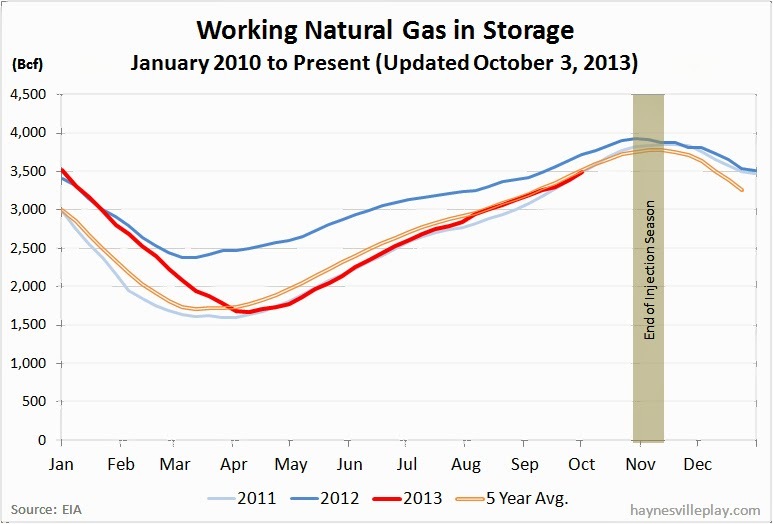 The current storage level is 4.3% below last year (3.642 Tcf) but 1.4% above the five year average (3.438 Tcf). Temperatures last week averaged 64.6 degrees, which was 0.9 degrees warmer than last year and 0.3 degrees cooler than average.